Cross-industry distributors, manufacturers and warehousing operators rely on gravity flow systems designed by Morrison Company. The one thing they all have in common is the need to maximize warehouse space and efficiently store and process orders. We know how to make that happen. Morrison design and engineering services are unique to each customer but the benefits are the same: storage maximization, improved productivity and order fulfillment. Flow systems designed by Morrison Company are ideal in ambient, cold-storage and freezer environments where FIFO product management is engaged. 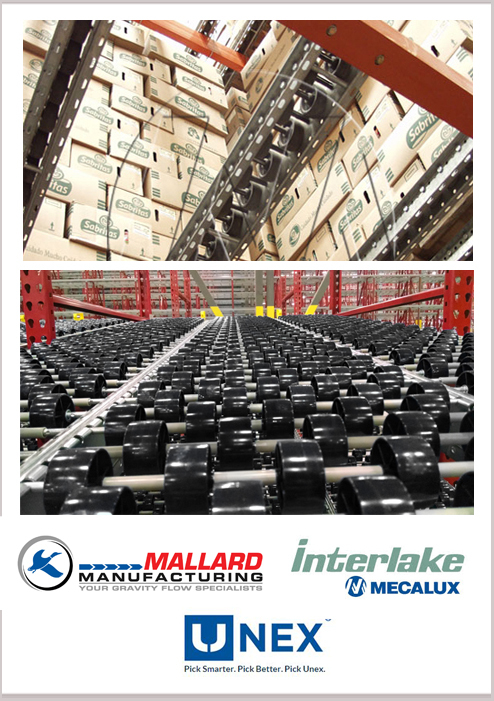 Working with our strategic partners at Interlake, Unex or Mallard Manufacturing, we will design a pallet flow solution specific to your needs. High-load capacity carton flow systems are engineered using UNEX® Span-Track. Double the storage capacity vs. conventional rack or shelving.